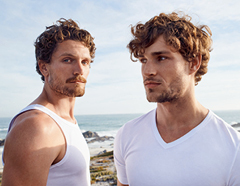 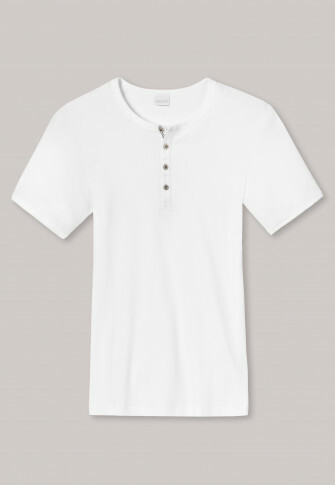 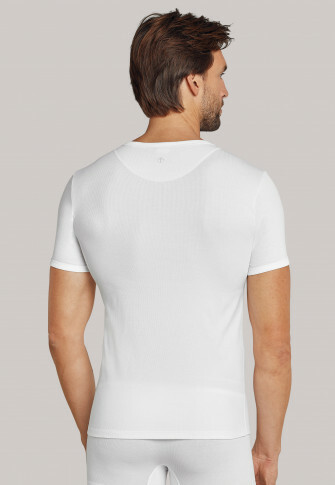 Iconic basics for a man's man: Put it on and feel good, that is the motto of this white men's T-shirt from the SCHIESSER "Naturbursche" line. 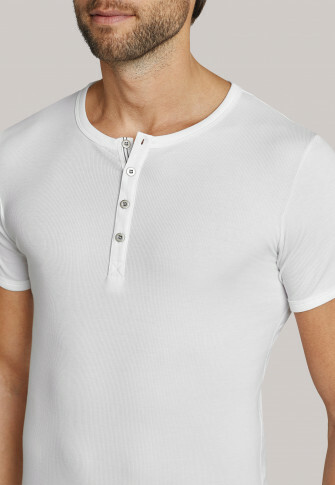 Elastic double rib does not only feel especially light and soft on the skin, but also exudes pure masculinity in close-fitting cut and with the metal-colored button placket. 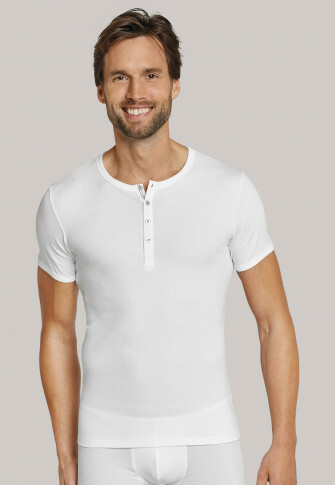 A comfortable, robust shirt in best SCHIESSER quality!